I know, we have been told many times in our lives “don’t worry about what other people think of you.” While there is truth to this statement, the reality is that YOU have control over what others think of you. 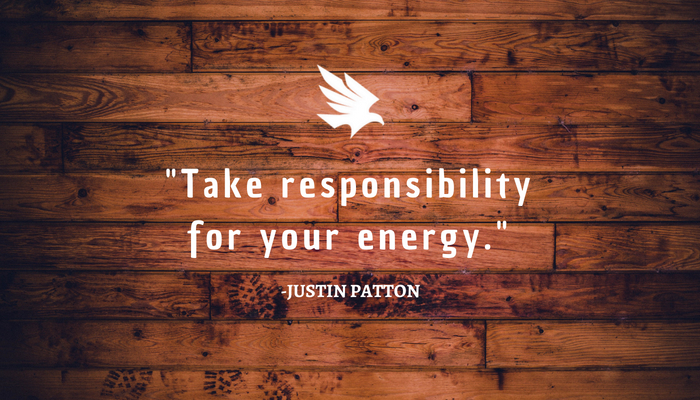 Justin Patton, international speaker, and executive coach, recently spoke at Roanoke’s annual eXperience YP conference. A conference where young professionals are brought together to connect with industry leaders, visionaries, and educators to bring awareness to leadership and the impact that it has on your organization and professional performance. Justin challenged everyone at the conference to list the top three things you want others to perceive in you. Do you want to be known for your kindness, your generosity, being humble, empathetic or reliable? How do you want others to think of you? How do you want to show up every day—not just as a leader in the workplace, but in your relationship as a partner, a friend, a family member. YOU “own your energy” and YOU “honor your character” by deciding how YOU want to be perceived by others. So, we at HAWK Advisers challenge you –what are the top three things that you want to be known for? What kind of mark do you want to leave on others? How do you plan to demonstrate that in your day to day interactions? Go show up, go be your authentic self!